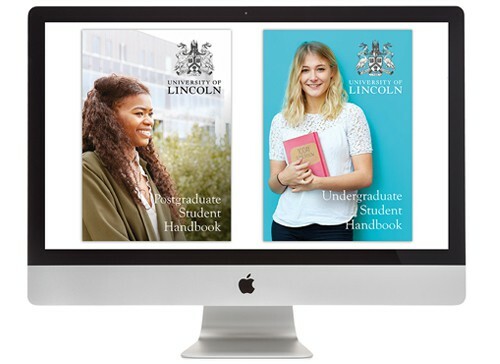 Having worked with the University of Lincoln for several years, we were thrilled to be asked to refresh and update this years’ Undergraduate and Postgraduate Student Handbooks – with fresh imagery used throughout, the overall feel is clean, contemporary and engaging – perfect for new students. 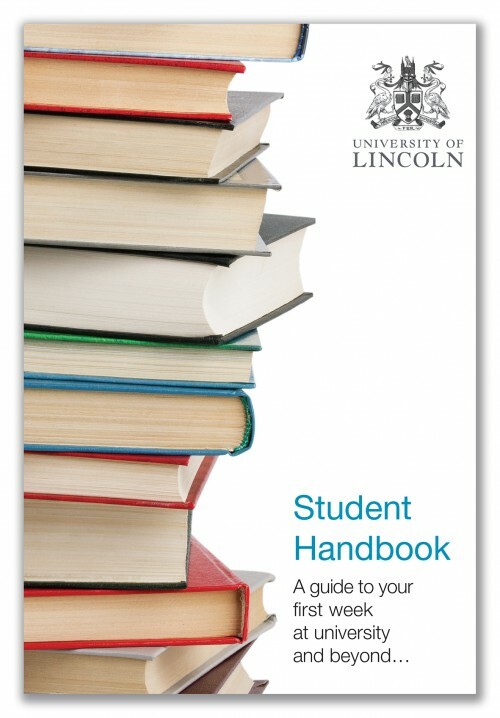 We have just designed and printed two guides for new students at the University of Lincoln. The first one, entitled ‘Student Handbook’ – aimed at undergraduates – needed to be eye catching, vibrant and exciting. We used bold imagery and graphic devices to lead the student through the booklet. The second guide – this time for postgraduate students – needed to be clean and contemporary and more sophisticated. These A5 booklets both contained all the information a new student at the university would need when embarking on a degree at Lincoln. The design and content were tailored to the different target audiences and both fitted within the University’s brand. 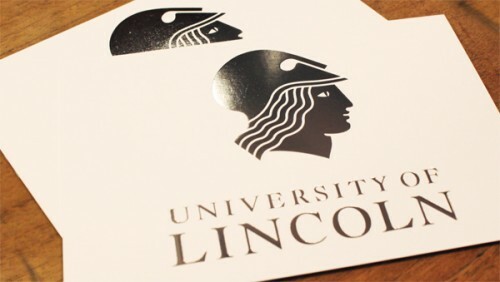 ‘Think past our brand guidelines…reach a vast audience…inspire the unknown’ were all part of the University of Lincoln’s recent brief for the design of their new marketing literature aimed at prospective postgraduate students. Postgraduate students are probably the hardest audience for the University to market itself to – having the largest age range, coming from a mix of different backgrounds and all having different life experiences. We were given the task of producing a poster and a postcard advertising the University’s Postgraduate Open Days. The collateral needed to inspire, motivate and encourage prospective postgraduate students, through the use of uplifting imagery and colours we have created a design that rings positivity and freedom. This week we have turned a project around for the University of Lincoln within seven days of receiving the brief. At the beginning of the week we pitched for the design and print of a postcard to be sent to all of the University’s successful applicants, inviting them to visit the Applicant Open Day. The University loved our design concepts and chose to develop a minimal, contemporary idea for the postcards – simple and eye-catching through the use of silver block finish. These postcards are to be personalised with the applicants’ name and address before being posted out to nearly 7,000 prospective students. 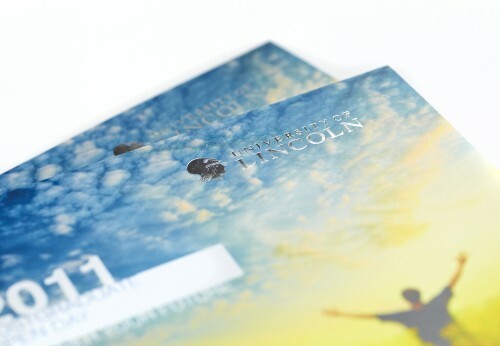 We have been working with the University of Lincoln for over two years now on various projects and we were delighted to have been asked to design their Open Day collateral for the second year running. 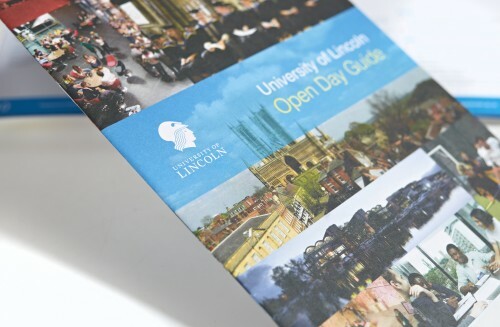 In order to recruit the best quality students, University of Lincoln needed the best quality collateral for its open days, which would be used to aid students in their decision-making process by providing information about the University. Getting into the mindset of the prospective students, we created a suite of materials that was fun and interesting, setting the scene for the start of an amazing adventure in a great location. 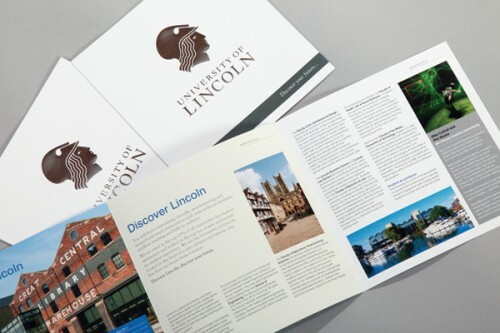 By using bright colours, while at the same time meeting the University’s strict corporate guidelines, we succeeded in getting the right balance between representing Lincoln to be vibrant and exciting, while maintaining a professional attitude to higher education.